Former-Manchester United ace Cristiano Ronaldo is under intense speculation that he is on the verge of an £88 million transfer to Juventus. As the day goes by it seems more and more likely that the Portuguese superstar is going to leave Real Madrid for the Serie A champions. In doing so Ronaldo could become the first player in history to win the Premier League, La Liga and Serie A titles. 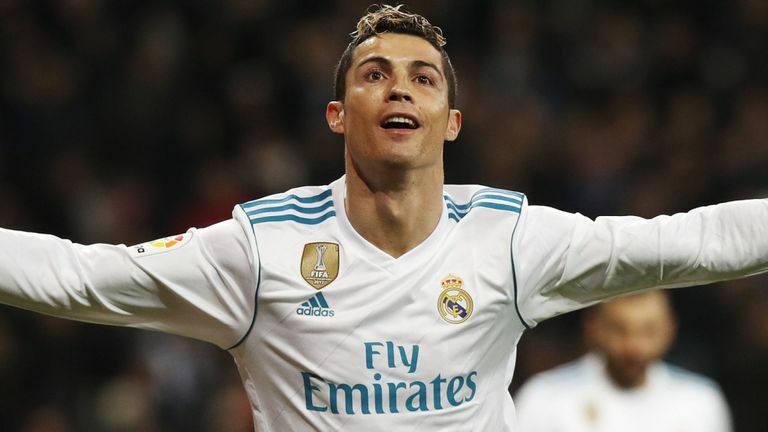 The 33-year-old has already accomplished everything he could have asked for at Real Madrid – four Champions League winners’ medals, two La Liga titles and the club’s all-time record goalscorer. Interestingly, we have been linked to re-signing Ronaldo for several years now but there is no suggestion we’re even going to match Juventus’ offer for the forward. The good news in Juventus’ interest in Cristiano Ronaldo is that they may need to sell players in order to raise the funds and stay within the Financial Fair Play rules. And we’ve been strongly linked to their left-back, Alex Sandro this summer. A new left-back is believed to be one of Jose Mourinho’s targets this summer, along with a new centre-back and right winger. The Brazilian is seemingly our priority target in his position too. Does it suit him? Will Cristiano Ronaldo make this photo come to life in the coming weeks? Do you want him back at Manchester United? Let us know in the comments section below. Previous Article← Has Cristiano Ronaldo confirmed his transfer? we want him back to old trafford, cos we need legends like him and he is the one who make us love football. we still need him at Manchester United. we don’t need him ..he’s old and scrubbed . Left Winger is a Priority for Man United.